Hi my name is Janice and I am originally from Scotland, but moved to Tenerife with my husband in2005. I really love the life style and the climate. 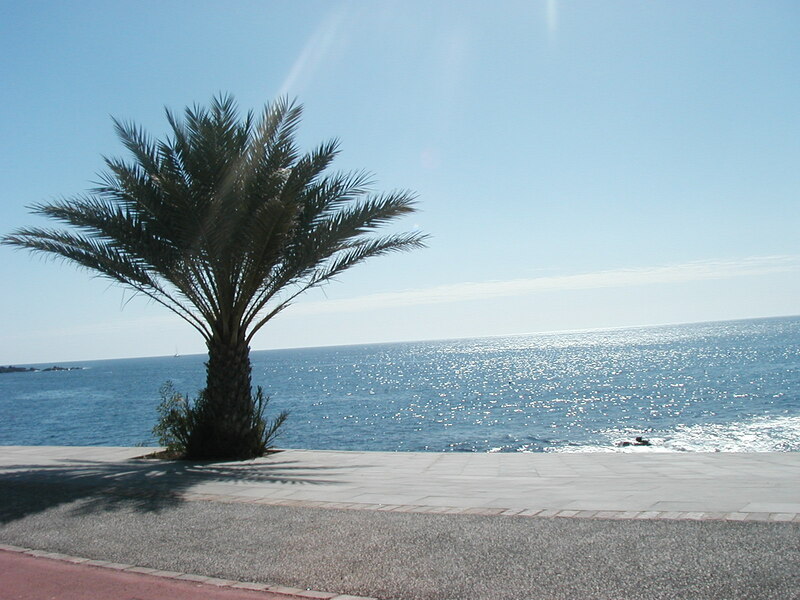 You can read more in “about me” where I have written about “Moving to Tenerife-Our dream come true” and “Living in Tenerife – 8 Years and counting”. My hobbies include Photography, Reiki, Pilates, yoga, alternative medicine ,cooking, sewing, looking for bargains, and surfing the net. As I belief that nothing is impossible and there is always an answer to the problem. I would like to share the information that has made my life easier in Tenerife. Photography is a big part of my life now, you will find my entries to many photo challenges and my photos of nature in Tenerife. Also included in my blog are many hints and tips regarding health using alternative medicines. Been busy lately trying to make the most of the fresh food I have a bought and the herbs I have grown. This is my version of oregano pesto. A handful of hazel nuts, or nuts of your choice. I use a nutribullet, to grind nuts first. then add rest of ingredients, keep pulsing till combined, you may have to open the lid and give it a stir now and again. You can freeze left overs in a freezer tray. You can use any herbs you like, I usually use basil, but had loads of oregano in the garden. I found this recipe on the internet for hair gel but it has many more uses. It is a great as a moisturizer, especially for your feet and hands, really good as an aftersun and if you add water it is a good hairspray which you can just brush out. Flaxseeds or linseeds are they sometimes called contain omega 3 fatty acids. Bring to the boil, stir now and then, should start to thicken around 5 mins. Strain into a glass jar when cool. Add a few drops of tea tree oil or oil of your choice. will keep in fridge for a month. Today I made this reusable washable grocery bag. I got this free pattern from ShabbyFabrics.com which was on facebook. Really pleased with the result, for a while I have been looking for a sturdy bag that you can roll up and put in your handbag, just in case you need to buy something and don’t want to buy a flimsy plastic bag. Looking forward to trying it out, all seams are reinforced so should be able to hold all my fruit and veg from the organic farm. The next thing I wanted to change was the way I eat, although at the moment I think I have a good healthy diet there is room for improvement. My task is to try and make my kitchen as eco friendly as possible. Firstly I would like to get rid of my plastic containers and use glass, I had some mason jars already , so I got rid of some plastic and used them for to store some of my cupboard ingredients, also used some smaller glass jars for my spices. I still have a long way to go, but hope to replace all the plastic with either glass or stainless steel eventually. Now the task I am most excited about at the moment is I am trying to make everything from scratch I do make all meals from scratch, but I am now making my own stock, tahini, blend of spices,jams and potato waffles. I recently bought a waffle machine still experimenting, but things looking good so far. This morning I made date jam for the first time, and tahini. 2.Put all ingredients into a pot , bring to boil then simmer for 20 mins. Stirring now and again. 3. Pour into sterile glass jar. I only made a little to see how it was going to taste and how long it would last. Let you all know later. Recently I have been thinking about changing things in my life, now that I am retired I have plenty time to tackle the issues that I would like to change. The first thing I tackled was my wardrobe, I had too many clothes and they were really unorganized, so I bought some staking boxes, assembled them and got on with the task of sorting out my clothes, at the end I had a few boxes for the charity shop, and a tidy wardrobe where I am able to find what I need. I used the same principle for my sewing machine, craft materials etc. This recipe works really well, even people who can eat wheat like it. This is the recipe. Put eggs, sugar, vanilla essence and oil in a bowl, beat well. Sift flour, baking powder, cinnamon, mixed spice and fold into egg mixture. Bake at 180c for 40 to 45 mins. The containers I used were what my frozen curry came in, an ideal free loaf tin.